Yes. I, too, was hoodwinked into the Easy Listening revival of the mid-90s when Mike Flowers stalked the earth. I, too, remembered with ironic fondness my parents’ Jack Jones and Andy Williams LPs, and enjoyed revisiting them with a straight face. But some years before it was officially decreed that “loungecore” and the theme to Animal Magic were cool, in 1990, PolyGram put out Boy Child, a fine 20-track compilation of Scott Walker’s best work, and it was with 100% sincerity that I lost myself in it. 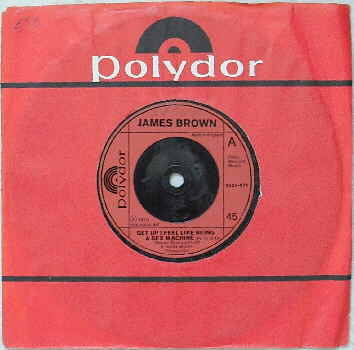 Dimly aware of his work with the Walker Brothers through the pop radio of my youth, up to that point he’d not crossed my radar as this spicy cavalier of sleazy Euro-theatricality, from Hamilton, Ohio to swinging London via Brussels and Paris. Boy Child duly pointed me at his solo work, the albums so helpfully numbered for my listening pleasure. 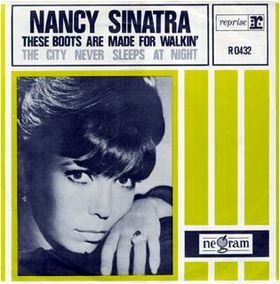 I knew less about Jacques Brel and only belatedly discovered that Walker was instrumental in popularising Eric Blau and Mort Shuman’s English translations, including a handful on Scotts 1-3, where he was clearly feeling the Brel influence on his self-penned tracks. I’m still captivated by his whip-cracking, high-salt-content interpretations of Brel numbers like Jackie, Amsterdam, My Death, Next and The Girls And The Dogs, with their politically incorrect talk of “queers” and “procuring young girls”. However, it’s important to note that many of my favourite Walker tracks are neither the work of Brel and his co-writers, nor covers at all, but credited to Noel Scott Engel himself. The orchestral arrangement by Wally Stott* (how excited was I when I discovered a link between Walker and Tony Hancock, whose theme and incidental music Stott composed?) is sublime. The expectant strings, the tinkle of the chimes, Walker crooning as if out of an open window at the moon: “The only sound to tear through the night comes from the man upstairs.” This man’s “bloated belching” and imagined propensity to “crash through the ceiling soon” evoke a similarly seedy, cheapside, harbour-lit milieu to one Brel might have painted. And then that crack of drums. The orchestra swirls around the narrator, as if in some West End musical, Walker nudged into the background by the swell as he hits the lamenting heights with a brass-backed chorus that finally names Montague Terrace … in blue. The reveal of its colour scheme delivers us back to the limpid quiet of the intro. It’s just what grunge would do 25 years later when Walker was approved for a new generation: quiet verse, loud chorus. Or in his case, limpid verse, oompah-pah chorus. 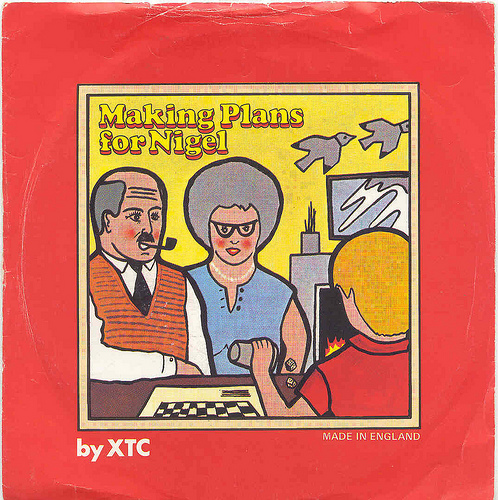 Interestingly, as a student in the mid-80s, ahead of the curve, I’d compiled Mum and Dad’s easy listenin’ LPs onto a cassette one summer – perhaps as arch respite from the endless Goth, psychobilly and 4AD arthouse. Either way, I appreciated the potency of this expensive music. 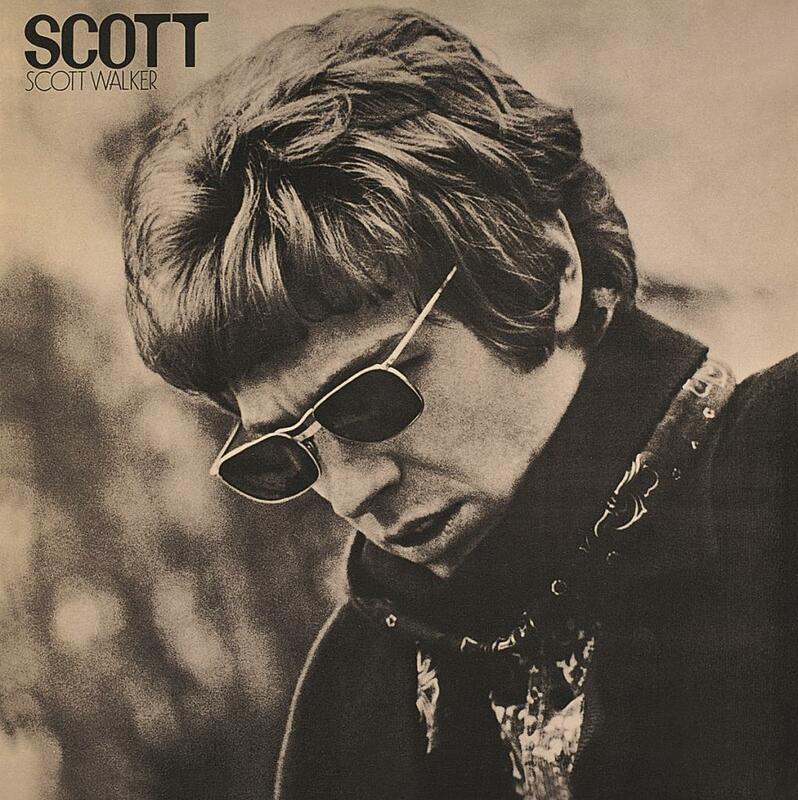 And Scott Walker’s first four solo albums – the last of which contained no covers, no Brel, the stablilisers were off – remain four of my favourites. Only Morrissey, Eno, McCartney and Peter Gabriel could make a claim for the greatness of their first four solo albums after being in a successful group. *Subsequently, after 1972, Angela Morley, whose score to Watership Down we often play on my Classic FM programme. **I did. And I’m going to again today, having just heard the news that Scott Walker has died, aged 76, on March 25, 2019.